Pseudo Code Test Capgemini is a newly introduced Round in Placement Test. Capgemini Pseudo Coding MCQ Questions are from basic C input output and C++, OOPS. Capgemini Coding Questions also contain some Data Strucutres Questions. Capgemini Pseudo Coding Papers Section in Test Paper is of very high difficulty. Capgemini Pseudo Code Test Questions. Most websites have uploaded random questions for this section, don’t trust them only PrepInsta provides latest and actual questions. In this round there will be about 20 Questions which need to be answered in 20 mins. Ques. How many Questions are there in Capgemini Pseudo Code MCQ’s? Ans. There are 20 Questions that need to be solved within 20 mins. Ques. What is the level of difficulty for capgemini pseudo code test questions? Ans. Capgemini pseudo code test questions are of moderate difficulty but you need to score atleast 70%ile in this section to get to the next round necessarily. Ques. 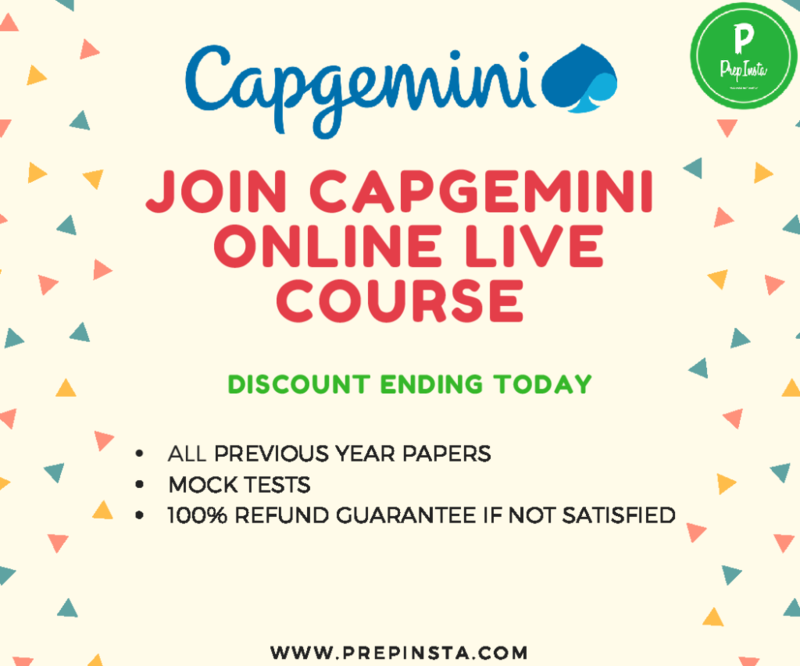 What is the Syllabus for capgemini pseudocode round questions and capgemini pseudocode questions and answers pdf? Ans. There is no such Syllabus for capgemini pseudocode questions and answers but from what we have observed it has basic C input output questions and basic C Syllabus that was there in first and we have given chapter wise questions above please check them Capgemini Pseudocode Round Questions. If you may have any questions related to Capgemini Please ask them in comments below. We will try to answer them for capgemini pseudo code test questions within 24 hours.